There’s an App for that! It’s a saying related to smartphones and the usage of applications (or apps) within them to make life easier or more entertaining. Now and even more in the future, apps can assist with memory loss. Each app has a specified purpose for its use. It can be productivity (calendars, maps, lists), entertainment (music, movies, books), shopping, social media-the list is virtually endless. Each tablet or smartphone has basic apps loaded, but the rest are individualized based on personal preference. Apps are a great way to help proactive adults or even those with very early memory loss symptoms manage memory better. This is exciting news for those wanting a memory boost or those in the early stages of memory loss related to any number of issues. It’s most beneficial for those already comfortable with the technology of smartphones, but also can be learned. Maps, calendars, photos, lists etc. 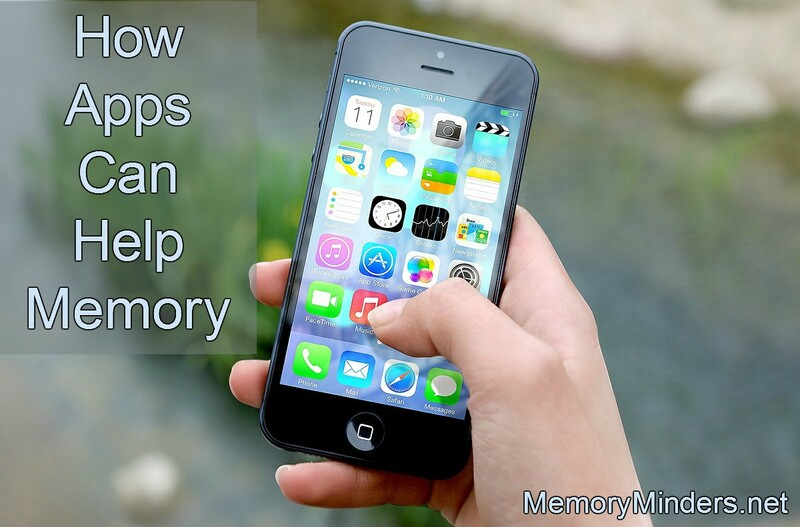 are easy apps to understand, navigate and assist with memory. In the future, many more apps will be available or are already on the market, such as those associated with aphasia (problems with speaking). For those unfamiliar or uncomfortable with technology, there’s still hope. Learning and understanding new technology, even in a small way, is a fabulous form of mental exercise. When learning, go slow, find a patient instructor, and pick one area to master before moving onto the next (email, calendars, music etc.) Learning more about apps and technology is a fun way to connect with others, enhance mental fitness and chronicle memories. Give technology a try or even make it a habit-like using the list app for a grocery list. Understanding and finding apps you enjoy will not only improve your quality of life, but also your memory!